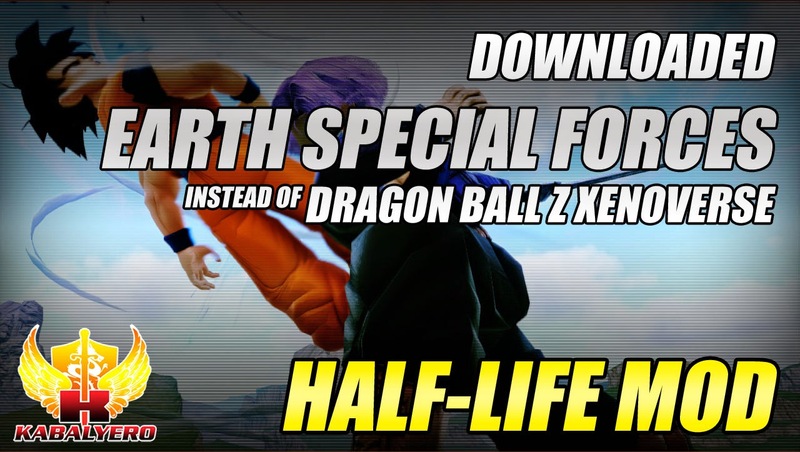 Dragon Ball Z Xenoverse, Downloaded Earth's Special Forces Instead - KABALYERO - PLAY, BLOG & EARN! Dragon Ball Z Xenoverse, I was thinking of getting it in STEAM but I downloaded Earth's Special Forces Instead. Dragon Ball Z was one of my favorite anime back in the 90s and I spent a lot of time playing those Dragon Ball Z fighting games in Super Famicom and Playstation. When Dragon Ball Z Xenoverse was released in STEAM, I thought of getting it but I decided not to. Instead, I downloaded Earth's Special Forces which is a Half-Life Mod. Downloading and installing Earth's Special Forces didn't cost me anything because it's FREE. It also didn't cost me anything to get Half-Life because I already have it in my STEAM account. I may eventually get Dragon Ball Z Xenoverse in the future but, for now, I'm going to try and enjoy Earth's Special Forces. Anyway, if any of you guys want to check out Earth's Special Forces then the link to its website is in the description of the video below. Again, you will need the original Half-Life game to play Earth's Special Forces. If you don't have it then you can simply buy it from STEAM.